Editor's Note: This post was contributed by David Mirshahi, SEA Specialist at Bynder. It originally appeared on the LinkedIn Marketing Solutions EMEA blog. 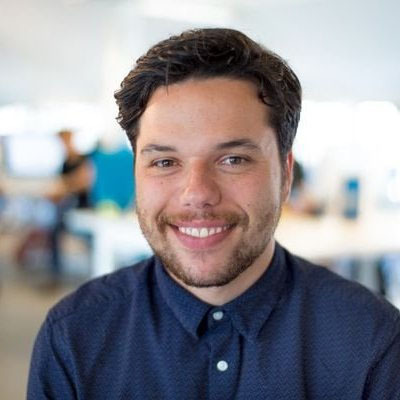 I’m the PPC specialist at Bynder, an award-winning marketing software company based in The Netherlands. Bynder first launched in 2013, and as a relative newcomer competing with big-name brands, it has been important to get maximum results from our marketing budget. That’s why we’ve always prioritized generating leads and delivering measurable Return on Investment (ROI) while driving brand awareness. LinkedIn has been a part of our marketing strategy since July last year, when we first started running ads on the platform. In November, I started working with an account team at LinkedIn to help maximize the value we could get from our Sponsored Content and Display Ad campaigns. The results were encouraging; we were beating our Cost per Lead (CPL) targets. After hearing about the launch of LinkedIn’s Lead Gen Forms in March this year, I was enthused to add them to our current campaigns, as I could see their potential in driving lead generation. When you’re seeking to grow fast in a competitive space, as Bynder is, you need leads. However, you also need to engage decision-makers at all stages of their buying journey, changing perceptions and creating demand. In the past, gating content behind a data capture form has driven leads—but often results in decreased engagement. Lead Gen Forms are a game-changer as they eradicate the dilemma of choosing between engagement and lead generation. Lead Gen Forms remove almost all friction from the process of generating a lead. They are automatically completed with LinkedIn profile data so that you’re not asking your prospects to type in anything at all. They get the content they want in a couple of clicks—and you get the lead information you need. Lead Gen Forms are automatically generated by LinkedIn, so it’s effortless to add them to a Sponsored Content campaign. They are also mobile-optimized—a must when you consider that over half of the LinkedIn audience accesses the portal via smartphones. As soon as we added Lead Gen Forms to our LinkedIn activity, we saw a difference. We were using Sponsored Content to promote our DAM Comparison Guide at the time. It was a content asset we’d developed for the lower funnel. Once we added Lead Gen Forms to the Sponsored Content promoting it, our number of leads jumped up by 400% and the rate at which we converted clicks to leads hit 20%. Maybe you’re thinking; there must be a catch here. We were generating more leads faster, which was bringing our cost per lead (CPL) down—but what about quality? Were our sales teams wading through frivolous leads now that it was so easy for our audience to share their details with us? It turned out that generating more leads didn’t reduce lead quality. Since we launched Lead Gen Forms, we’ve actually been qualifying leads at a higher rate. Why is this? Accuracy is one key factor, as the Lead Gen Form captures data from the LinkedIn profile. When you force someone to type in details against their will, it’s amazing how many errors and inaccuracies occur. With a Lead Gen Form, they’d have to go out of their way to give you misleading data. The fact that Lead Gen Forms capture a much higher proportion of your potential leads helps too. Forms that are frustrating for people to complete are just as likely to lose good-quality leads as poor-quality ones. Taking them out of the equation removes the risk of this happening. 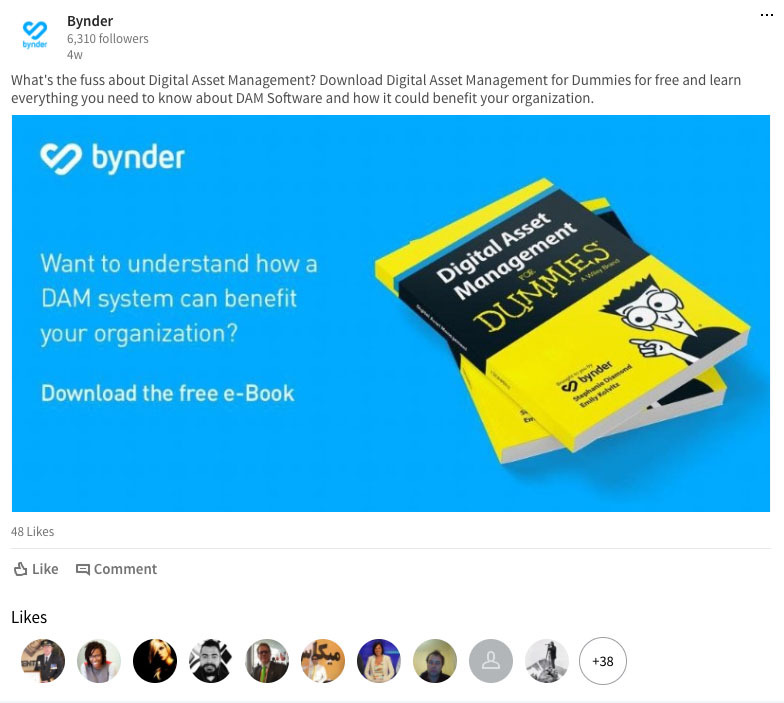 We saw even more spectacular results when we launched our DAM for Dummies guide, in association with Wiley, the publisher of the for Dummies series. We were able to spend less promoting this asset and still drive 500% more leads than we had been doing before Lead Gen Forms. These results got our whole company excited. We could see the return in terms of engagement as well. Our number of followers on LinkedIn has now increased ten-fold. It would be stretching the truth to say that Lead Gen Forms are a magic wand for lead generation on LinkedIn. They won’t do everything for you. You still have to develop compelling content for different types of buyers and different stages of the buyer journey. You still have to target that content effectively so that you are generating relevant leads that sales will appreciate. That being said, Lead Gen Forms are an easy and effective way to increase lead generation. It’s a small change that makes a big difference.